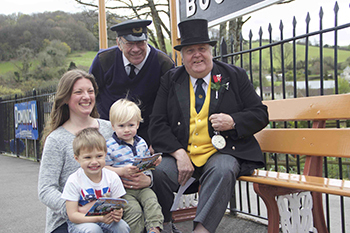 The South Devon Railway said a big ‘thank you’ to local Devon Mum Kirsty Emmins yesterday (Monday 25th April) when she visited the railway to receive a gift of some complimentary, but much sought after and valuable, tickets for her and her family to visit our three-day ‘Days Out With Thomas’ event over the May bank holiday weekend of 30th April to 2nd May. 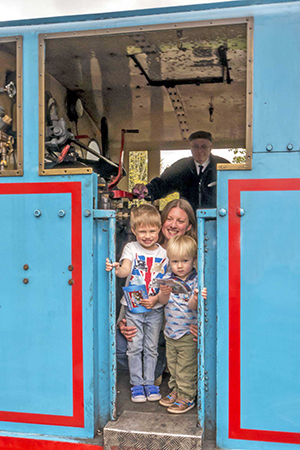 So, Kirsty and her two sons, Sam and Joshua, visited the SDR yesterday to see the famous big, blue engine in person as Loco No. 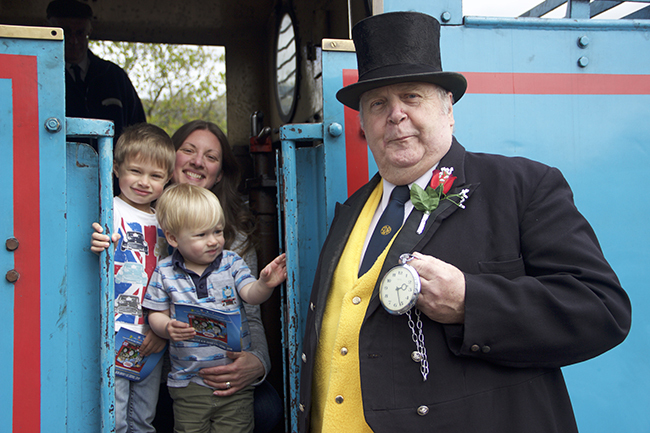 1 ‘Thomas’ was being prepared for service at the impending ‘Days Out With Thomas’ show at Buckfasteigh, and they also met the SDR’s very own ‘Fat Controller’ John Keohane MVO BEM and SDR Trust director Neil Smith who presented the family with their free tickets.